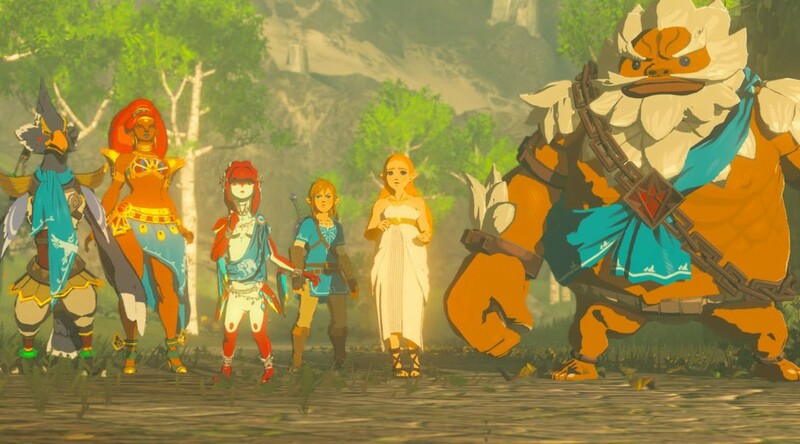 Daily Debate: Were the Breath of the Wild DLC Packs Worthwhile? If you’d told me there’d be DLC for a Zelda game years ago, I’d have been stupidly excited. Anything extra on top of what we get to play is sure to be incredible, right? To me the fun of Breath of the Wild was wandering through the vast, ruined planes of Hyrule, caring more about my own discoveries than any scripted event. More so than any iteration before it, this Hyrule was built to be explored. Having to hunt for the DLC armour was a great touch that facilitated that, having to scope out locations with only vague notions of where those items might be, much like we did with the Zora Helm. The Master Trials offered us some fun additions to chew on whilst we anticipated the release of The Champions Ballad, where we’d get more story out of a world we already loved, alongside the promise of a larger, more challenging dungeon. What we got was a collection of challenges and shrines, a fixation on an arguably dull combat system and a bike to rove across a map we’ve already combed through. Whilst, overall, I did actually enjoy what I got from these packs, I couldn’t help but feel disappointed once I’d claimed my own Divine Beast. Perhaps it’s just the bratty fan in me but I wanted more items like the Master Cycle Zero, something more dynamic to change the way I played the game, something like a tiny guardian to fight alongside you, similar to Wolf Link. The collection of DLC armour also had some wonderful visual throwbacks, I just wish they’d have been more useful. But what do you think? Did you enjoy the DLC? Which pack did you prefer? What else would you have wanted from the DLC? Or were you just happy with what you got? Tell us all in the comments below!